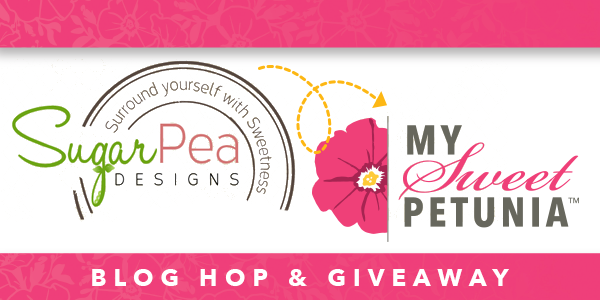 My Sweet Petunia is teaming up again, this time with Wendy and her team at SugarPea Designs. 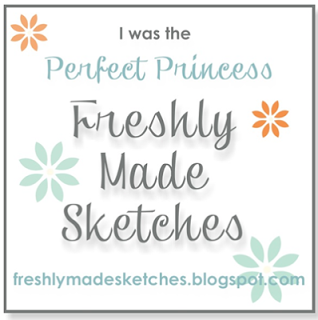 You should have come here via Vera's blog and she is so talented! 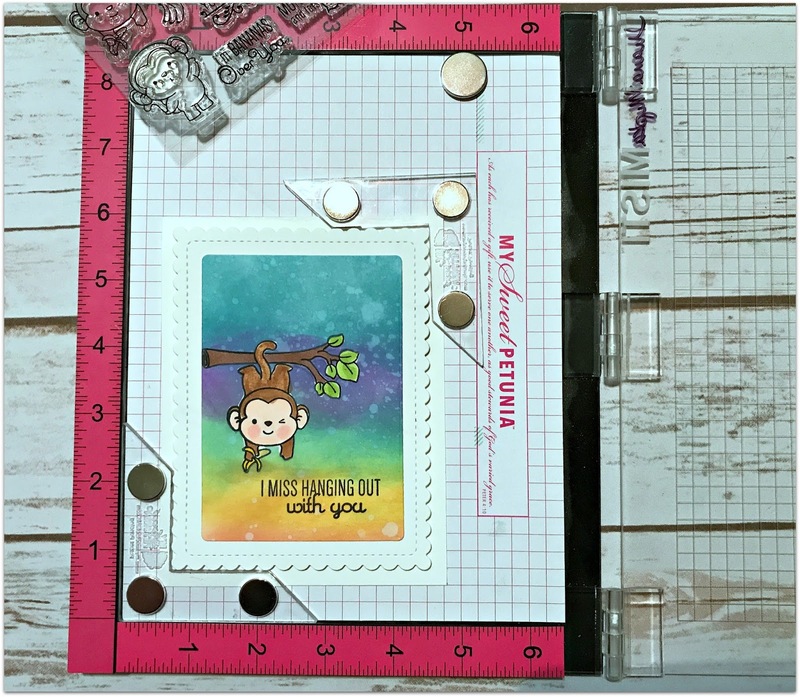 They have some super cute sets at SugarPea designs, for my card I chose Chunky Monkey because the monkeys are the cutest. I started with a white top folding card base and a white panel. I sat the image in Memento ink and the masked it so I could do the background. 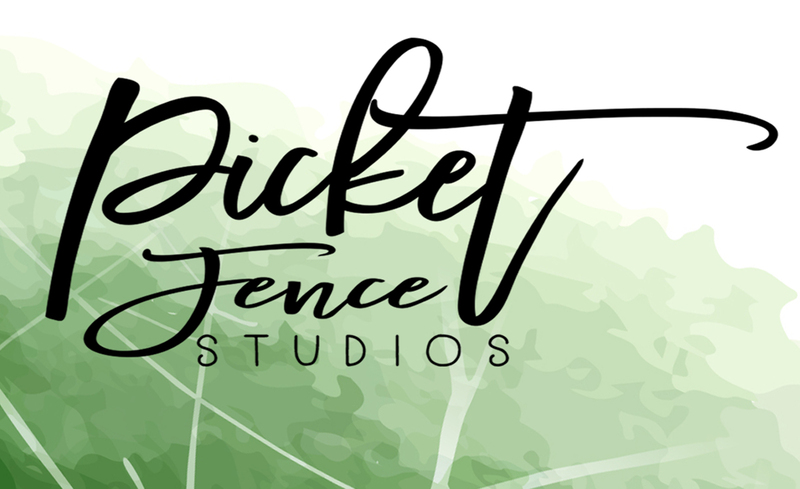 I used the new distress oxide inks for my background and added some water droplets to give it texture. Next I removed the masks and colored the image with Copic markers. Using the MISTI I was able to stamp the greeting on the card I had almost completed. Next I cut it out using the Sunshine layers die by WPlus9. To make sure it was straight i used the Creative Corners. 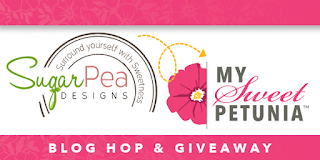 There are giveaways associated with this hop, so be sure to leave a comment on all the participants in order for a chance to win. I have a full list below in case you get lost along the way. Such an adorable card Ceal! Oooo, hadn't thought of using the tools to align as you did! Thanks for the tip. Your card is so cute. I, too, love this set. I could "watch" these monkeys all day long at a zoo but am willing to settle using them on cute cards. I'm hoping to buy the set soon. Love this card, absolutely love your style. Question, What paper did you use? Thanks! Absolutely love your background! Great card! Fabulous - loving your background Ceal, shows off your monkey beautifully. Cute card & love the oxide ink background! I love this cute monkey AND the beautiful background! Thanks for sharing! The more projects I see using the Misti, the more I want one!! Your card is so cute! 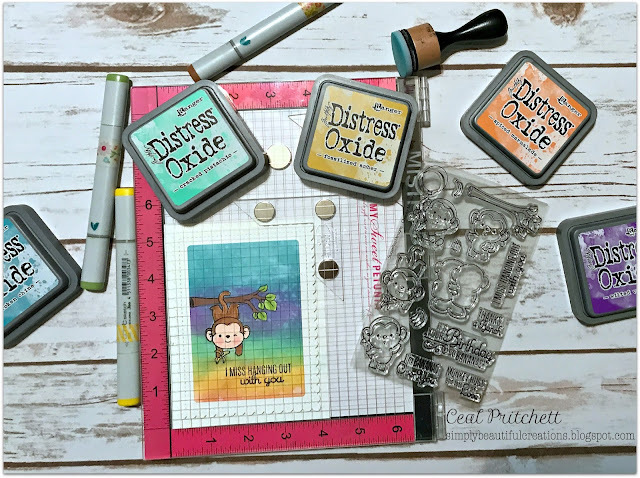 I just love my Distress Oxide inks! Super cute card, Ceal! I love it!! Gorgeous background and cute card! super cute card! LOVE the background! Great shading in the background. Wow! Such a darling card! Too cute!!! Ceal this is absolutely so sweet. I love the background and how you masked and coloured the Chunky Monkey! Fantastic card! Those Distress Oxide Inks really pop and I like the copic coloring on that cute monkey. Love your card and the Chunky Monkey set! 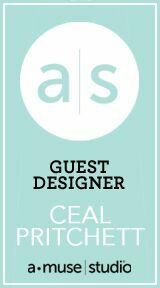 Absolutely sweet Ceal. The Chunky Monkey is one of my fav. sets and I love the Oxides used for the background, so pretty. A great tutorial on the use of the Creative Corners as well. TFS! I love the layout of this card. Your coloring is stunning. Live your background. I am not sure I have room for those distress oxide inks... but I want them! I love the fun background and cute monkey! !Absolutely adorable! Such a fun card. I love the background you created. Thanks for the MISTI tips. That inky background is fabulous. Eek! Your card is adorable...and I'm not monkeying around! 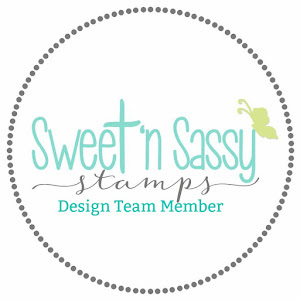 I'm so honored that you selected the SugarPea Chunky Monkey stamp set that I illustrated for SugarPea! Also! It was so nice meeting you this past year at CHA and having Mexican food with you (and some of the other members from the Sweet Petunia team). p.s. Watch out for those flashing cardinal birds! Awesome! the monkey is the cutest! I love the oxide ink background and the cute chunky monkey! Love your fantastic card. Beautiful background. Great card and colors. The little monkey is awesome. The Misti tools look like they would sure work for me. I like this idea of them. I loved the hanging monkey, super fun. You always inspire me to create--thank you. I really need to get those distress oxide inks! Oh so fun and beautifully done!! I like your background..such a unique look. The background is stunning-love the colors you chose. Very cute card also. Love the beautiful background you created for this cute monkey. Wow most of the distressed oxide demos bring out the vintage capability of the inks but your use of the inks really pops! Now I want them even more. 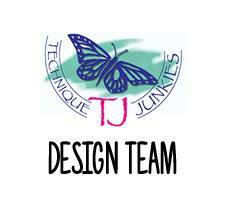 Cute design in your card. 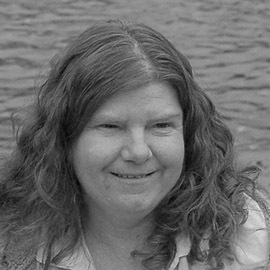 Thank you for your time, talent and willingness to share your ideas. Your card is adorable, love your beautiful background! 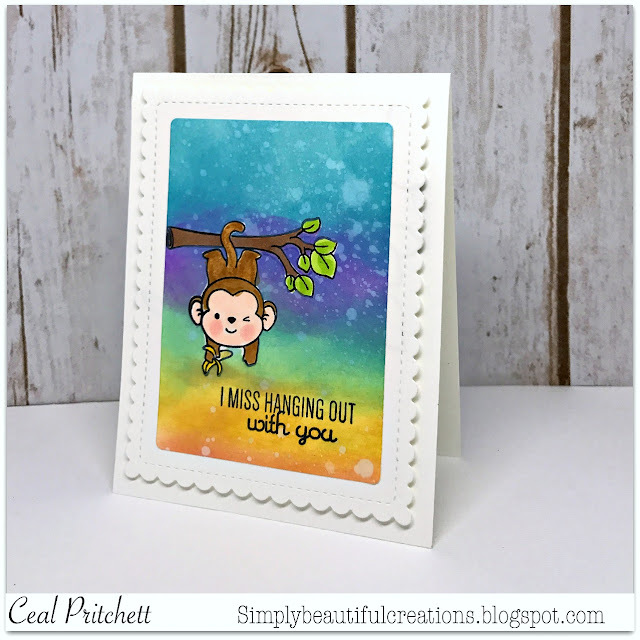 An adorable monkey and what a beautiful background you made with the Distress Oxide inks! Aww I love that little monkey - your background is fabulous! That oxide ink looks fabulous! Your card is very cool. Thanks Ceal for sharing your steps in making this card. Cute card, I love the monkey and the distress oxide background. I want those stamps! Your card is adorable & I love the sentiment! Cute! I love the background! I love Everything about this too cute card! Your background, all the gorgeous colors, technique and of course that sweet monkey!! This is so whimsical and fun! I love the distressed background and your wonderful coloring! What a sweet border die design! I love how you coloring your background! That monkey is so darn cute! Enjoying the hop and getting lots of ideas for using the MISTI and the Creative Corners! Great card! Love the monkey! Cute card. Awesome Distress background. Beautiful monkey and sentiment. 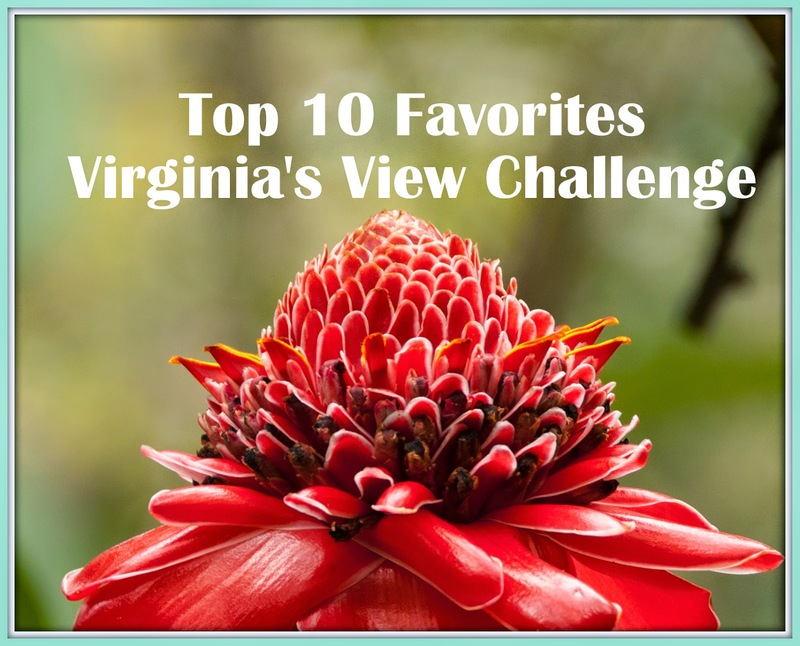 Great job and thanks for sharing! I have to say that Chunky Monkey is one of my favorite sets! They are so cute. I just love your background! Thank you for the inspiration. I love the ink oxide background and the cute monkey! 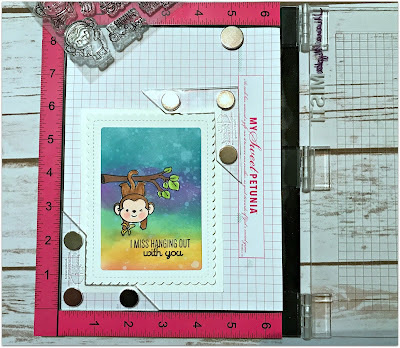 I love, love the background of your card, and the Chunky Monkey is just too cute! Adorable card and love how easy the MISTI makes stamping the sentiment! Such a cute monkey too! I love the background on your card. Plus your card is so cute! 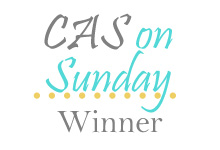 Thanks for the inspiration and for the opportunity to win! Adorable card with fabulous colors! What a beautiful colourful card! I love the background!! !